'Brexit could mark a major change for most of Europe,' says CWT report. The overall cost of sending delegates to meetings and events around the world is expected to rise by 3.7% next year, according to Carlson Wagonlit’s (CWT) 2018 Meetings and Events Future Trends report. 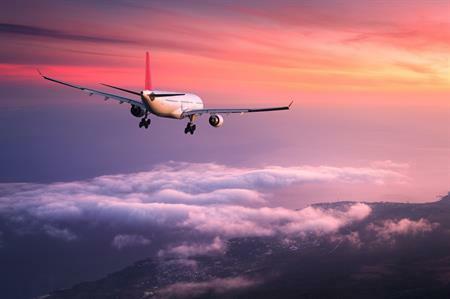 While the global airline industry’s capacity is expected to grow by six per cent in 2018, fares will also increase by 3.5%, rising along with oil prices, predicted the report. On the future of events in Britain after Brexit, the report said: "Brexit could mark a major change for most of Europe. To date, the main impact has been to attract people to the UK due to the reduction in value of pound sterling. But it is too early to define what the ultimate impact will be – we’ll have a better idea by 2019 when the UK is scheduled to formally leave the EU." Paul Stoddart, managing director, M&E UK, Ireland and Benelux was upbeat about Britain’s post-Brexit future. "We haven’t seen any marked drop in bookings for London," he said. "A lot of commentators would argue that with the way the pound is against the Euro, we offer really good value for money at this point in time. "We’re very early in the exit negotiation process and there may be a lot of unexpected consequences, but CWT hasn’t really seen a Brexit effect in our UK business or our offices across EMEA. "I think London is still an unbelievably attractive destination and has pretty much everything you’d want for an event, it’s always going to fare well. Perhaps it’s expensive and it’s facing tougher competition in the UK than it has in previous years from other cities that have got a really good proposition as well." For CWT Meetings and Events, the most popular global destinations this year have been Paris, Sao Paulo and Rio de Janeiro. The popularity of Brazil is partly due to the vast array of events spaces and hotels built for the 2016 Olympics.